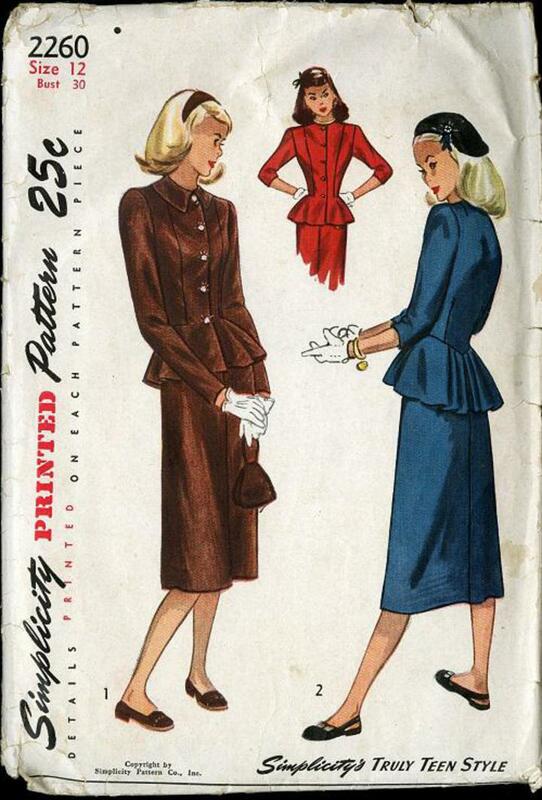 1947 Simplicity #2260 vintage sewing pattern, teen-age two-piece dress with soft draped peplum, size 12. The front-buttoning top is enhanced with a peplum, pleated in back. Seams from the shoulder to the waistline are featured at either side of the front closing and the back joins the peplum in a point below the natural waistline. The skirt, fitted with darts, is seamed down the center front and back.